Reliance Power is at odds with the Securities and Exchange Board of India (Sebi) over the restructuring process involving its fully-owned subsidiary, Reliance Clean Power. The Anil Ambani-led company is of the view that it doesn’t need the market regulator’s permission to merge its unlisted arm with itself. Sebi has opposed the view, stating the scheme would have be vetted before it can go through. Sebi, through circulars in February and May, had directed all listed companies to seek its approval while undertaking any scheme of arrangement. The power generation firm’s board had in July approved the scheme of amalgamation of Reliance Clean Power, its step-down subsidiary company, with Reliance Power, listed on the BSE and the NSE. Reliance Power said as the scheme was filed by its unlisted arm, it need not go to Sebi. But the market regulator maintained that the circular would be applicable as one of the companies involved was listed. While getting the scheme approved from the Bombay High Court, Reliance Power had said it wouldn’t seek Sebi’s nod as the scheme involved just the transfer of a wholly-owned subsidiary and not issuance of shares. 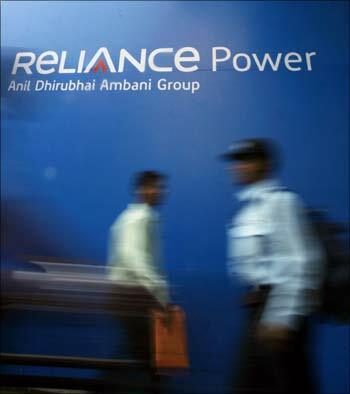 “Reliance Power did not file the application with the court, in deference to the settled position under the law and also under the bona fide belief that it does not require approval from the stock exchanges under clause 24(f) of the listing agreement, inasmuch as the scheme does not involve any issue of further shares and the amalgamation is with the wholly owned subsidiary company,” a company spokesperson said in a statement. As the matter concerned Sebi, the court directed the securities market regulator to file its reply. Sebi replied its circular would be binding on Reliance Power and it should obtain its approval. The court is likely to take a decision next week on whether the circular would apply to Reliance Power. Earlier, listed companies had to only obtain no-objection certificates from exchanges and get the approval of a high court. However, due to growing concerns that certain companies were putting minority shareholders in disadvantageous situations by carrying out schemes of arrangement without proper disclosures or at inappropriate valuations, the market regulator changed the rules to give itself a say in the process. Under the new norms, the market regulator issues observation on all schemes of arrangement undertaken by listed companies. Last month, Sebi had also issued its observation to the multi-layered scheme of arrangement involving Ambuja Cements and ACC.